Alison has built Robot to simply help her have fun, but it’s not so simple. It turns out she has to teach Robot about life, mainly from the point of a 7-year-old girl. 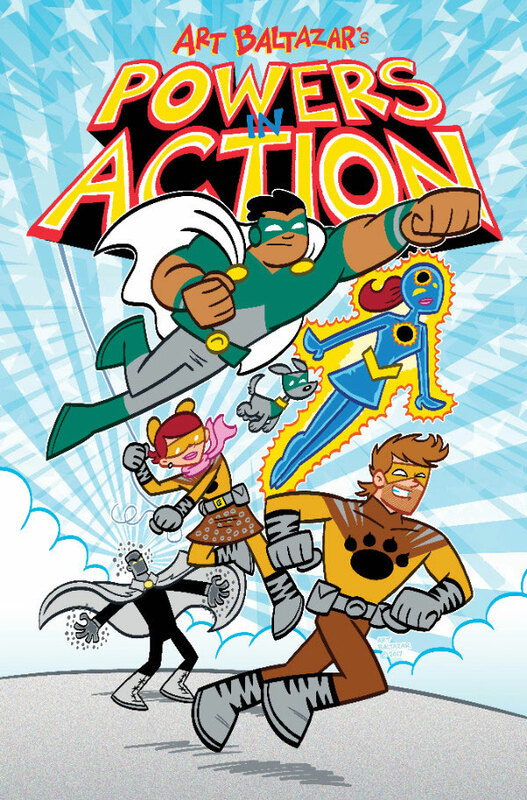 Join the cast of Alison, Robot, five penguins and a monkey friend Andrew, an 80’s music loving father, a serious mom that just wants a break, a cartoon Alton Brown and a cartoon Fred Chao. 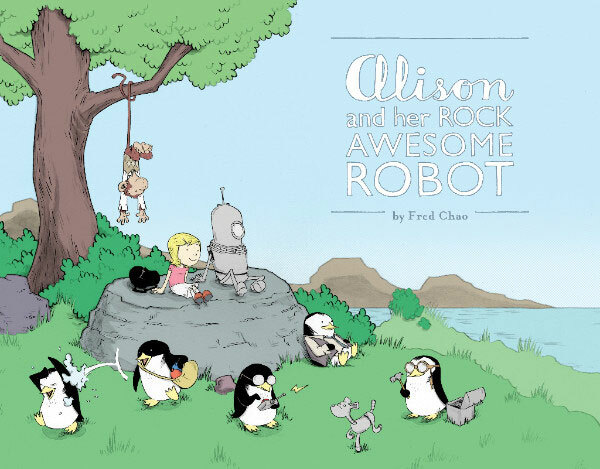 Filled with fun comics humor, first crushes, snowball fights, and reflections on life, this ALISON AND HER ROCK AWESOME ROBOT collection is a year’s worth of full-color daily and Sunday strips.